Accent Tiles Add So Much! Let's Get This Project Started! Tile Murals and Products Customized by YOU! 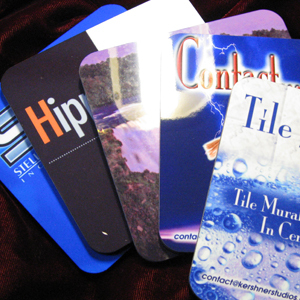 Tile Murals and Tile Products in Ceramic, Glass, or Stone for Home or Business! Custom Murals at Affordable Prices! Use on Walls, Backsplashes, Showers, Inlays, and More. Full Color - Photo Quality... NOT a Decal! Variety of Sizes, Finishes and Materials. Your Image Is Permanently Imbeded Under High Heat and Pressure Into the Highly Durable Polymer Coating On Our Products. 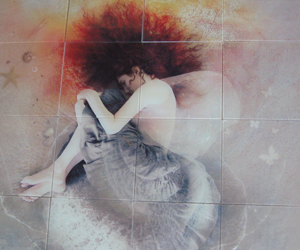 Combine Tiles Into Murals... Large or Small. You Work Directly With The Artist/Manufacturer. Individual Pricing Makes It Affordable. With an investment of under $2000, including a thank-you gift and all the shipping and handling, we were able to realize almost $8000 in funds for our charity event. The folks at Tile Murals Plus were responsive to our deadlines and provided a magnificent product that dazzled our donors. It wasn't difficult "sellling" the tiles and our facility now has a beautiful new tile mural addition in the lobby. They really are Tile Murals PLUS! Our fraternal organization needed a new porch and steps. We discovered Tile Murals Plus, and rather than a "buy-a-brick" fundraiser, we had a "tile selling". Now, not only do we have a new porch from the money raised, but we have a beautiful new back bar. As an independently run child care center, we are always trying to raise money for new playground equipment, field trips, and the like. We've gone the route of candles, candy, and that sort of thing. 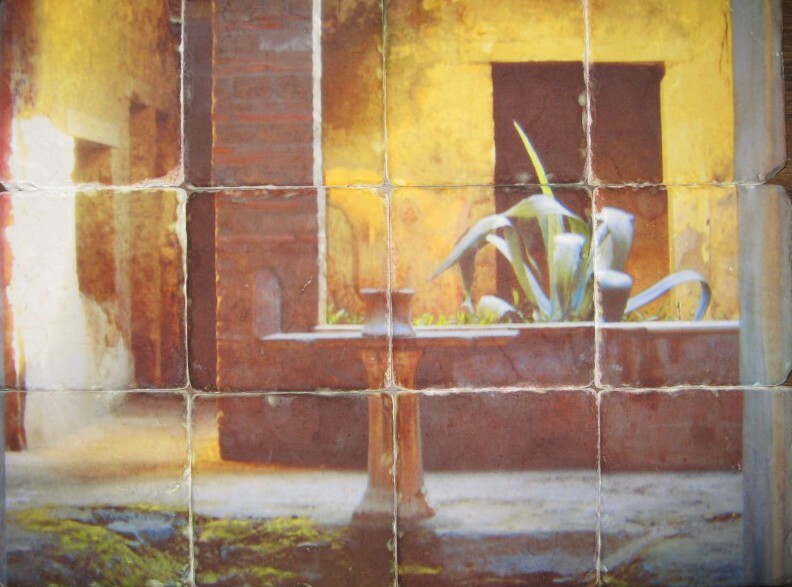 We found Tile Murals Plus on the web and couldn't be more pleased. Even though we weren't all that well versed in graphics, we found that they were. They took us step by step through the process, making sure that we'd end up with a quality product. After the fundraising was over, we had an open house to show off our new playground equipment AND the pretty new tile mural in our lobby. It's especially nice because the artwork that we decided to use was created by the children and is now a permanent part of our center. What a great way to make my kitchen my own! Thank-you Tile Murals Plus for coming up with a great idea at a price I could afford! I had no idea what to put on the tile product that I wanted for a wedding gift. The artist at Tile Murals Plus helped me pull it all together for a gift I was proud to give. I've ordered several tile items from Tile Murals Plus and have been exceptionally pleased, with both the products and the service. I'd highly recommend them to anyone looking for that unique gift. 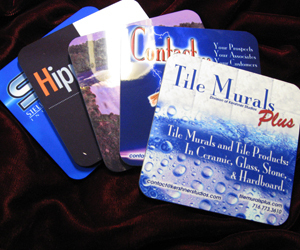 We were very pleased with the fundraising products we received from Tile Murals Plus. A full tile mural was too much for us, so, they suggested the cork back coasters. It was a huge success! From one of our customer's competitors, learned at a tradeshow... It's very frustrating being your competitor. Every time our sales guys go into XYZ company to try to pitch our product... there's one of your d**n coasters sitting there with your name and product on it! We've ordered the coasters as well as the mugs for company promotion. These products are delivered promptly and the quality is always outstanding. As a small company, these types of products were always out of reach, due to quantiy requirements. Thanks to Tile Murals Plus for fillling this lower quantity niche. 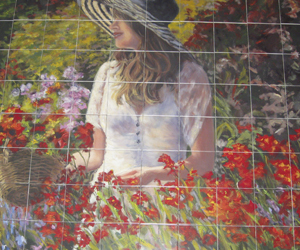 The richness of the colors, as well as the perfect alignment of the tiles in our mural was amazing. We're pleased to tell all of our friends about Tile Murals Plus. I just wanted to thank you for your timely professionalism in resolving the issue with the broken photo tiles. I received them on Wednesday and they are wonderful. It was truly a pleasure doing business with you. I'm amazed that Tile Murals Plus was able to take my not-so-great photo and create such a great gift!